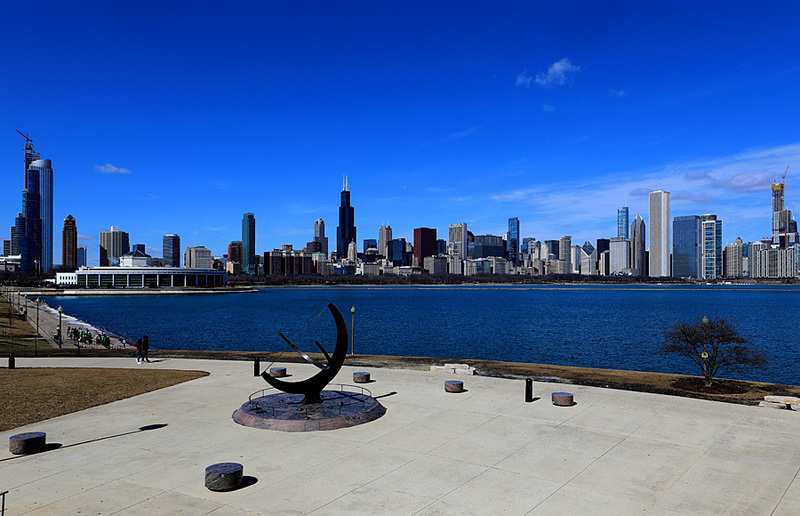 The weather in Chicago has finally broken…SPRING is finally here! 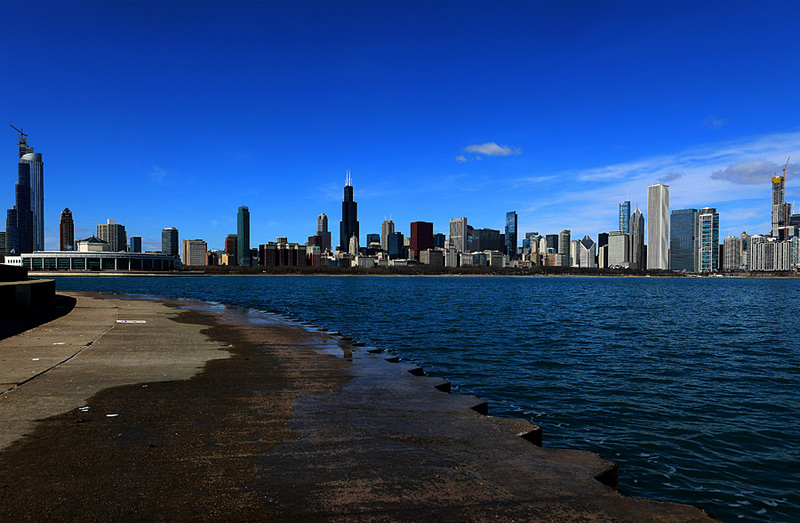 And that means getting out and doing some shooting in this fabulous city. 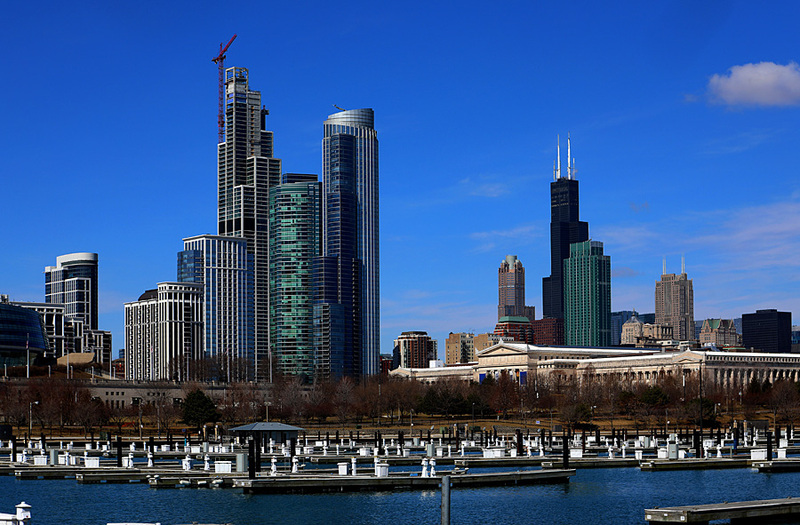 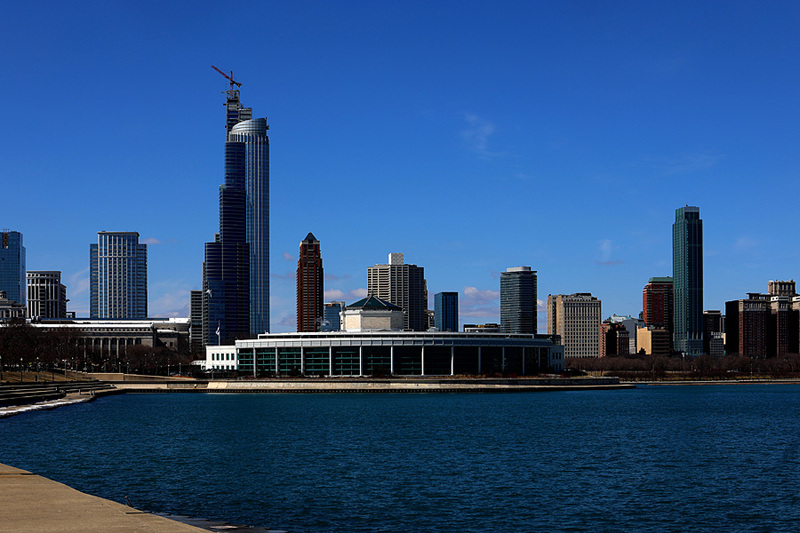 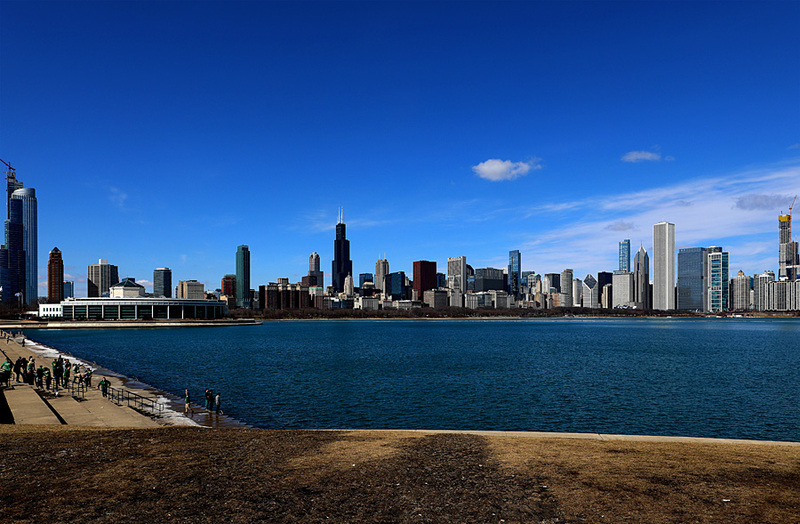 This particular day I headed over to the lakefront near the Adler Planetarium, which is my favorite spot to shoot. 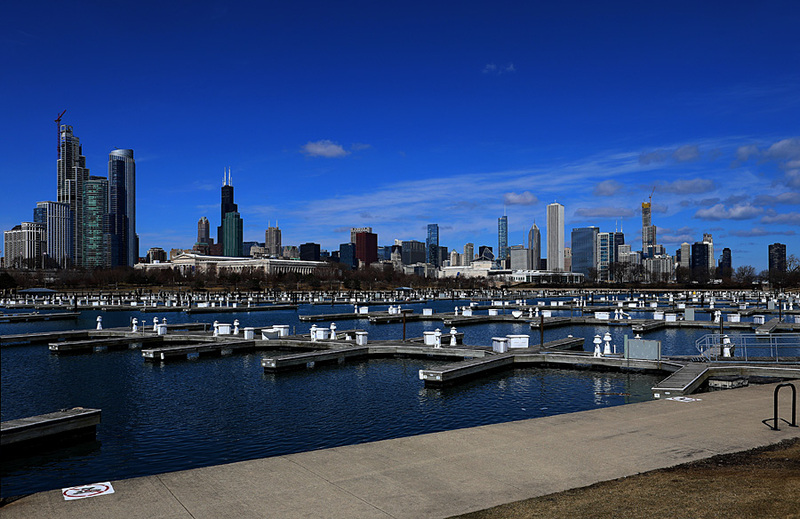 Again, the weather was great…blue skies and nice clouds. 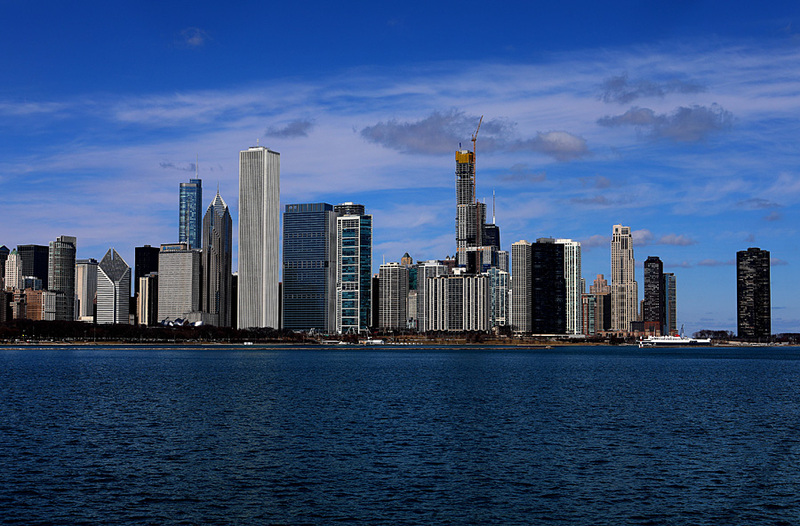 It was also great to see the skyline, because there are new office buildings and residential skyscrapers going up all over downtown, and it’s cool to see how they fit within the skyline. 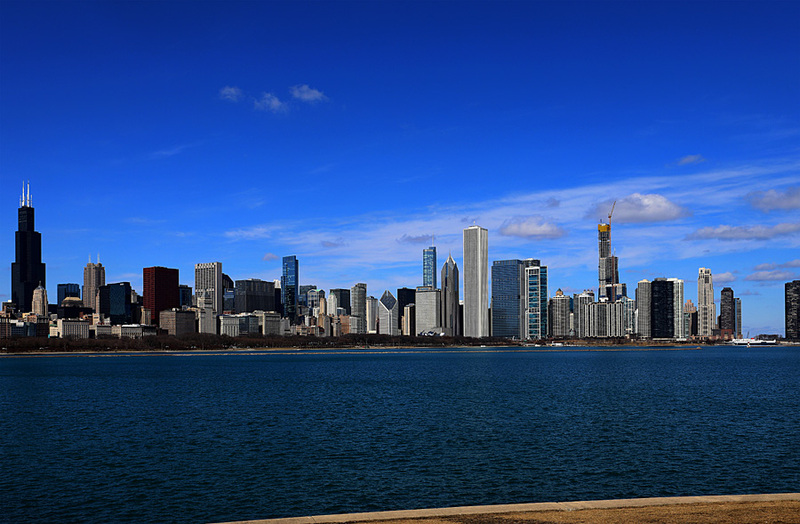 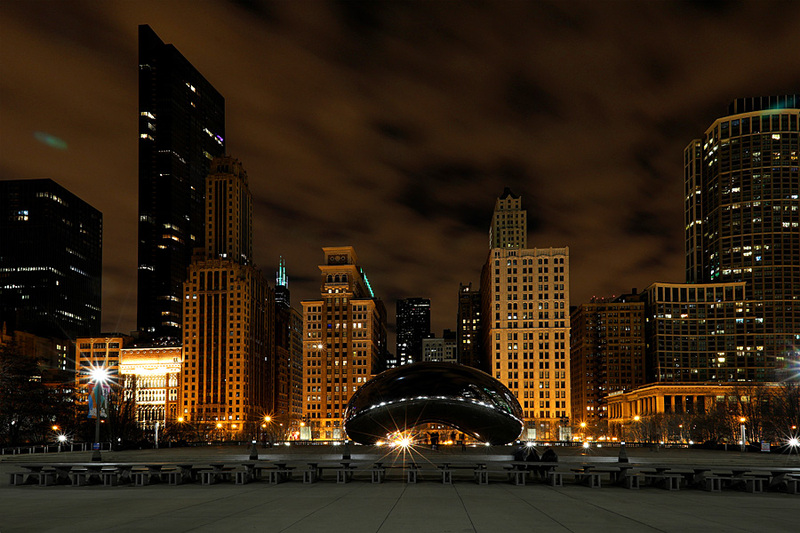 You just have to love the Chicago skyline! 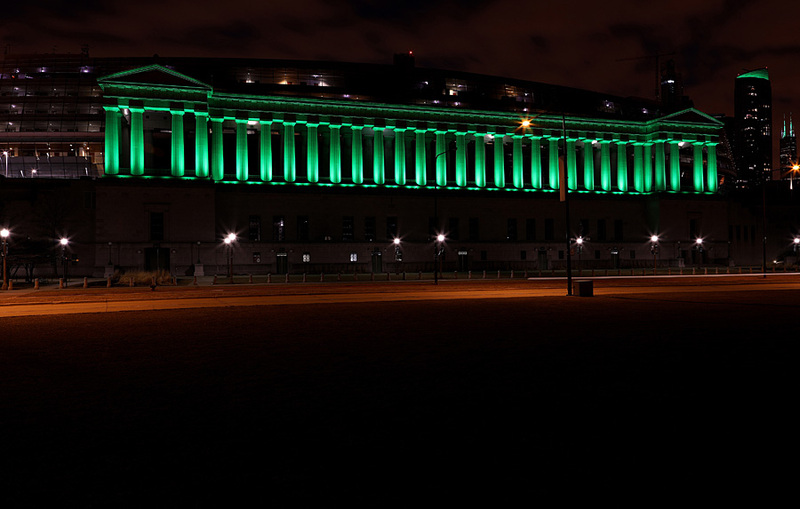 The next day was St. Patrick’s Day! 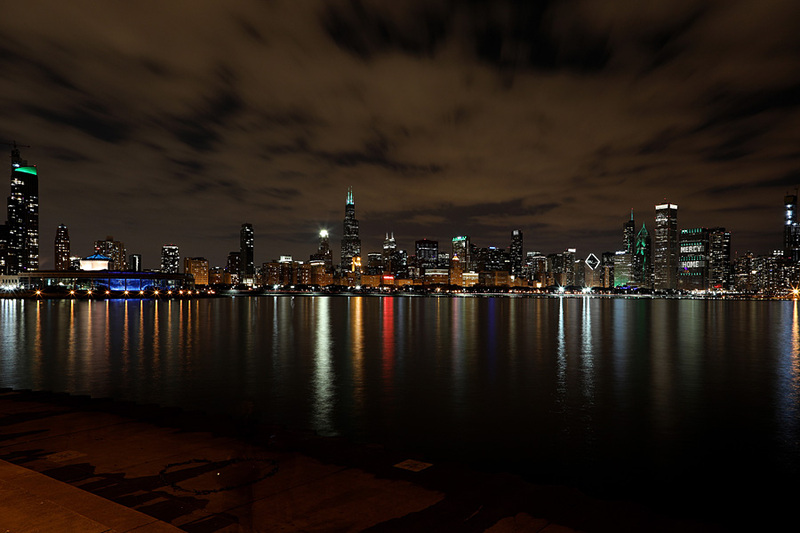 And after shooting the green river dyeing downtown, I decided to go out later to do some night shooting. 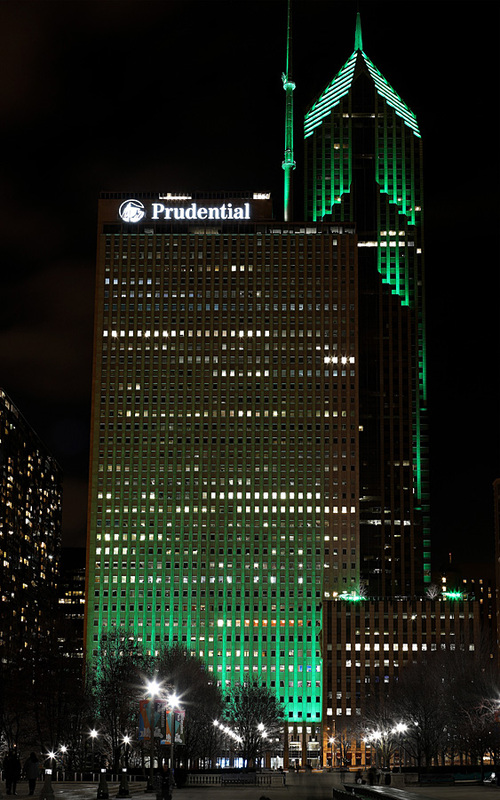 Quite a few buildings were lit up green to help celebrate St. Patrick’s Day. 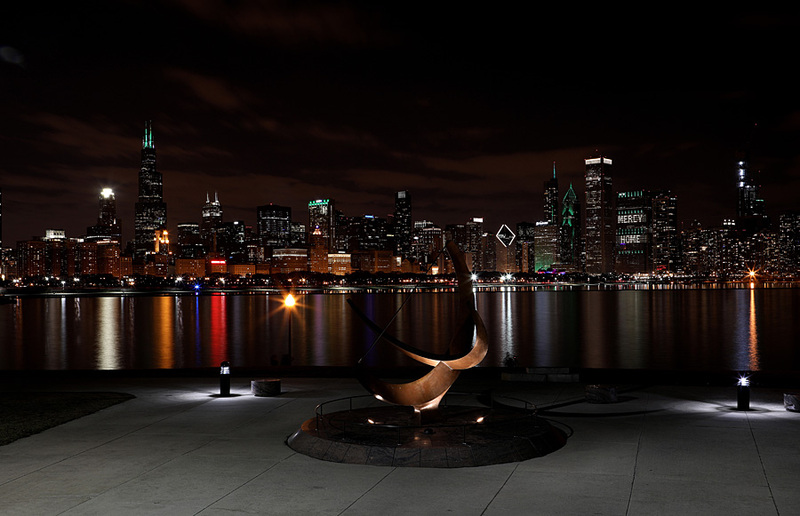 This brought a cool look to the skyline. 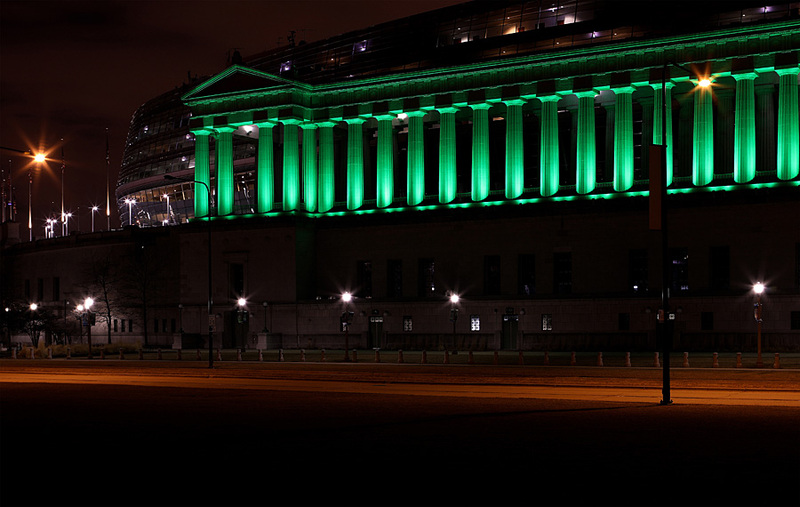 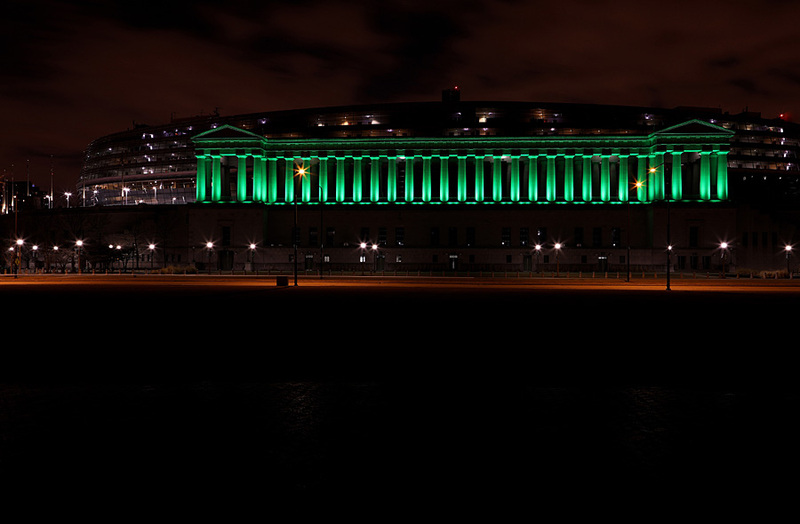 I started out at Soldier Field, whose columns were lit in green. 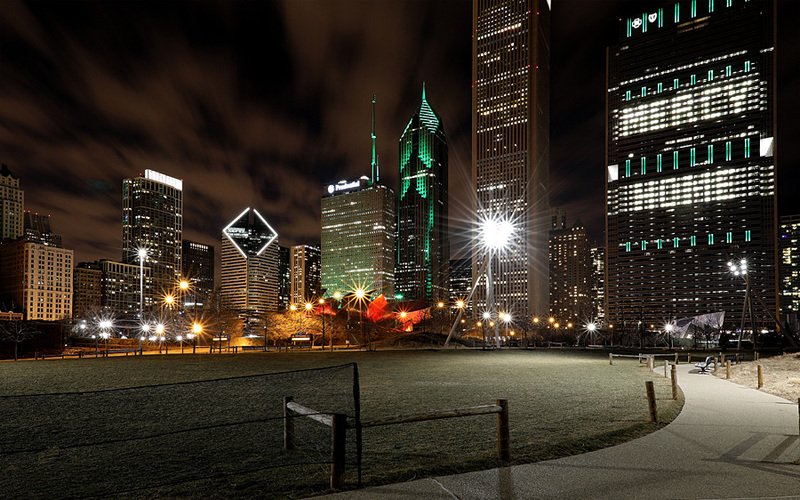 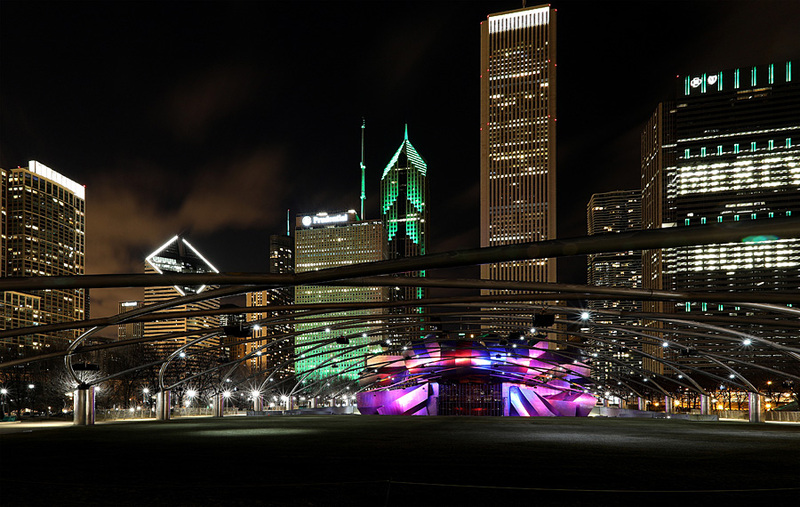 In the far distance, I spotted the Willis Tower antennas and One Museum Park’s dome, also lit in green. 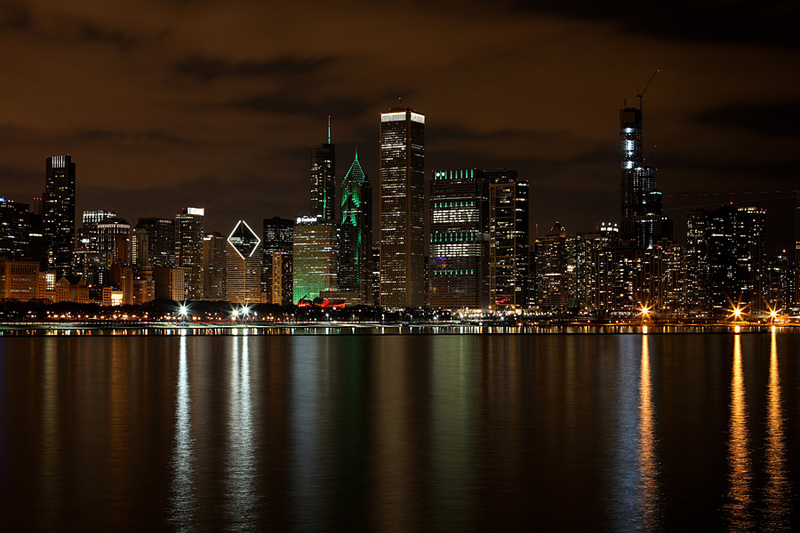 Next I head over to the lakefront where I see a nice sea of green colors from some of the more prominent buildings downtown. 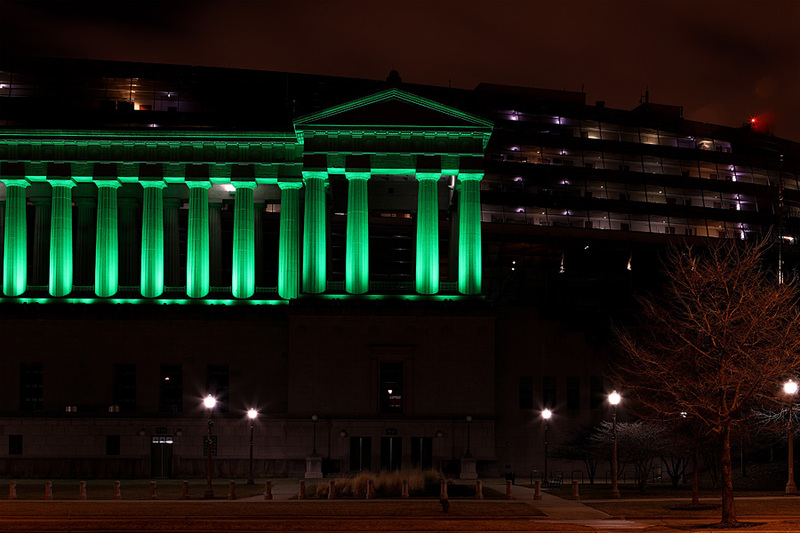 This is a great look indeed! 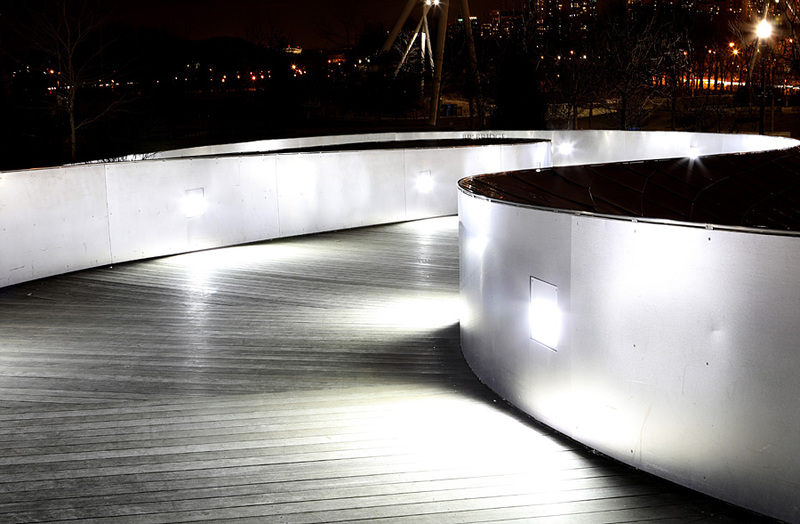 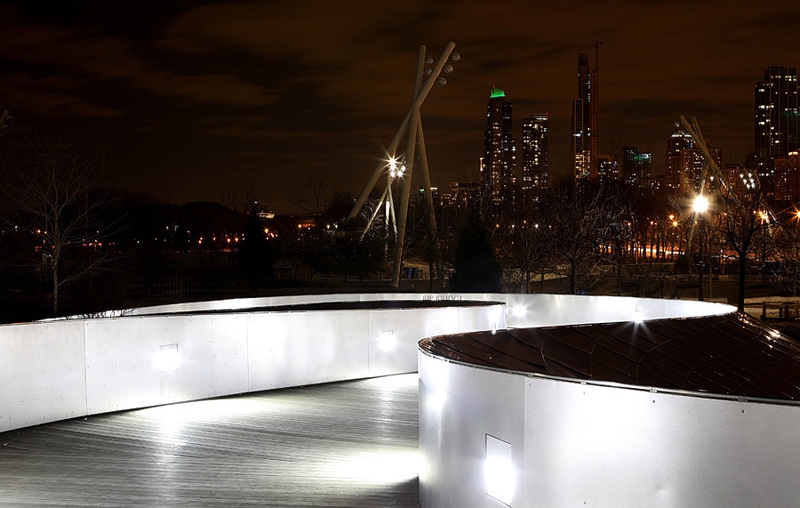 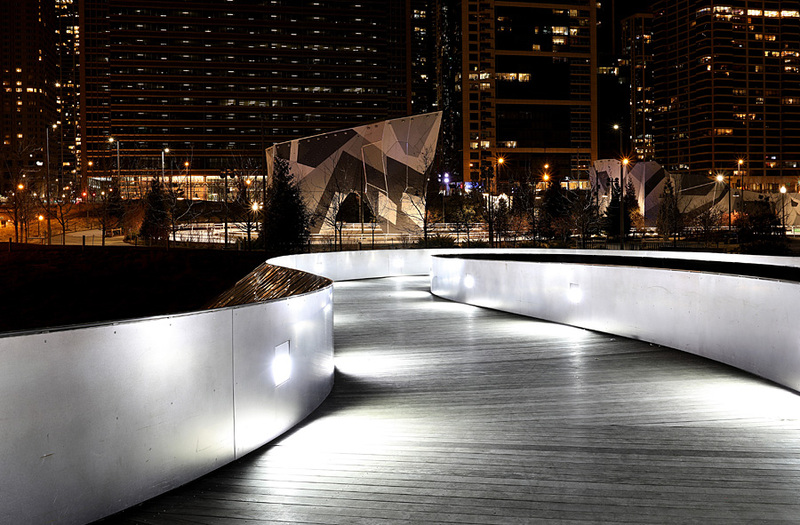 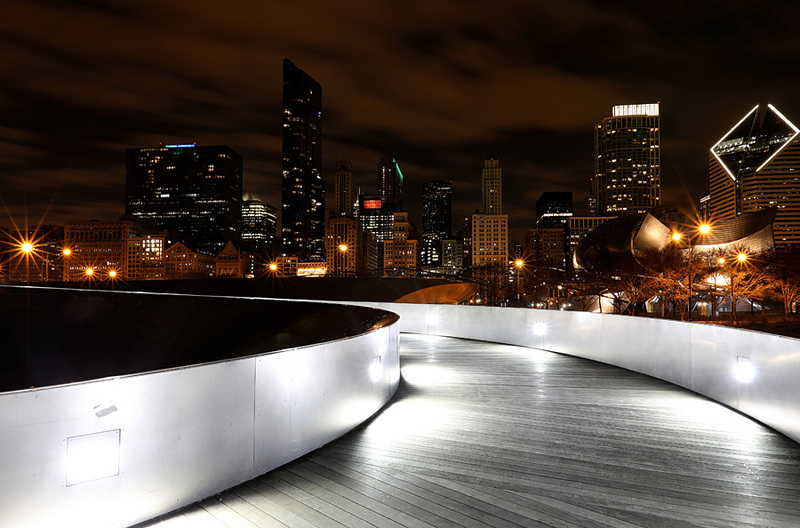 From there, I drove over to Maggie Daley Park to get closer views and to also photograph the BP Pedestrian Bridge, which I never photographed at night. 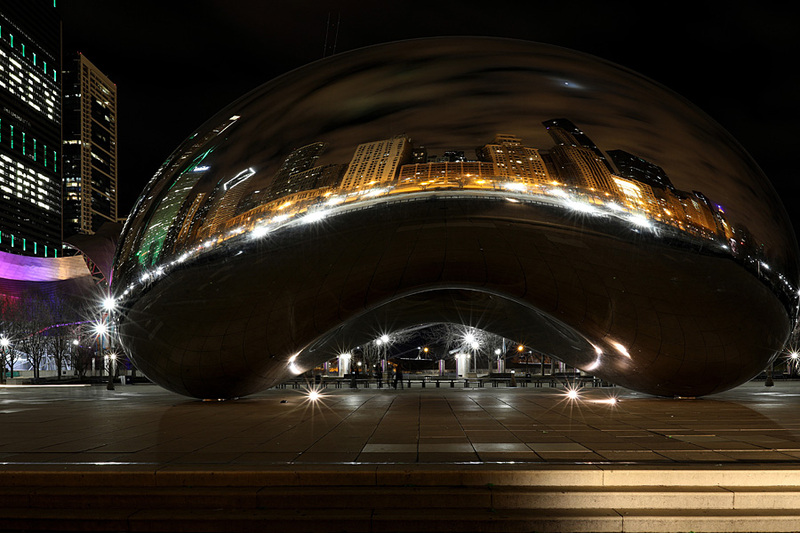 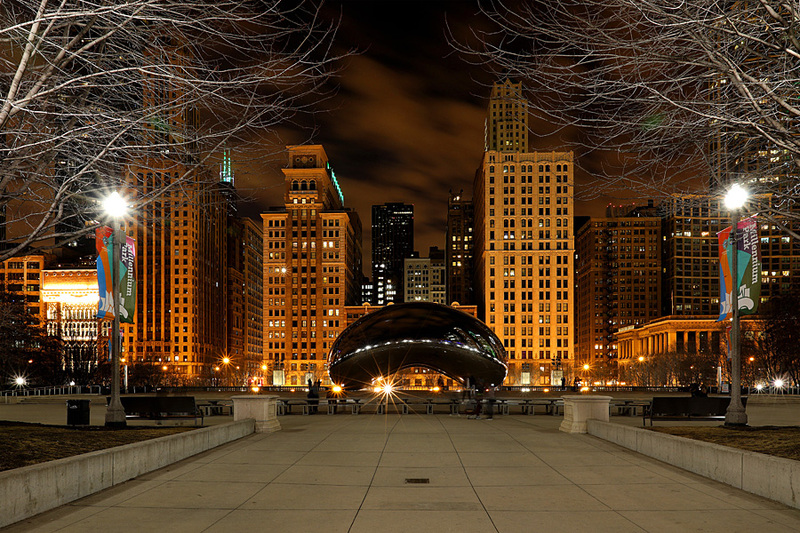 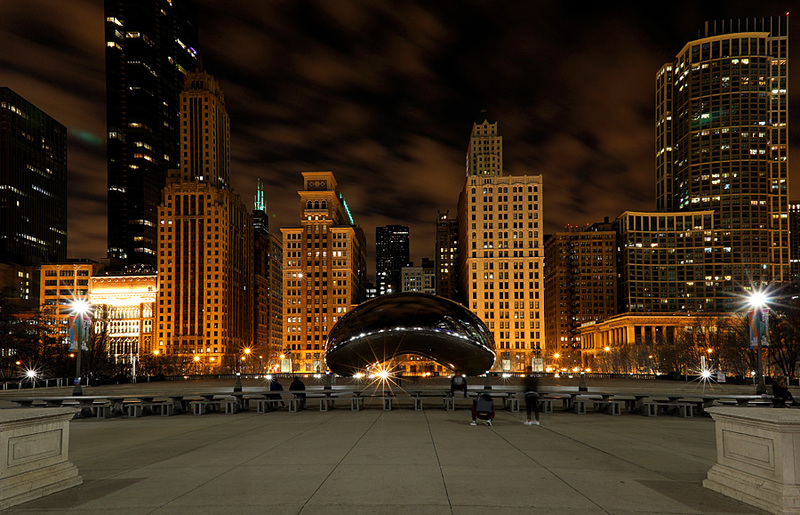 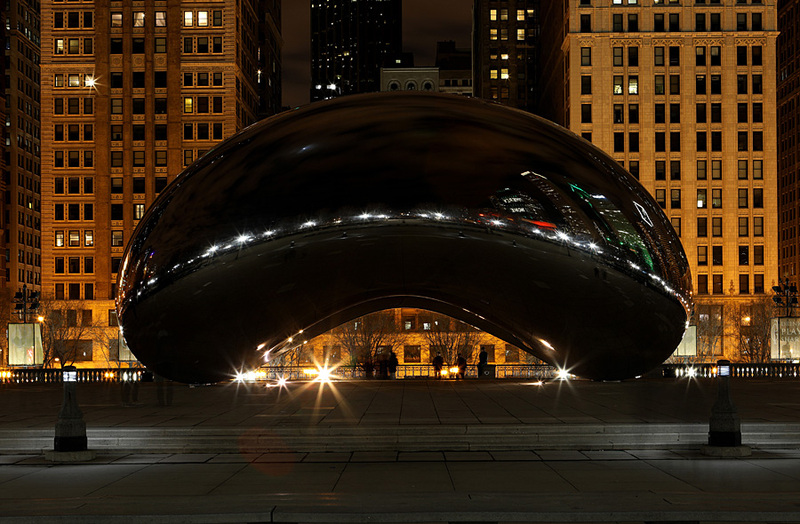 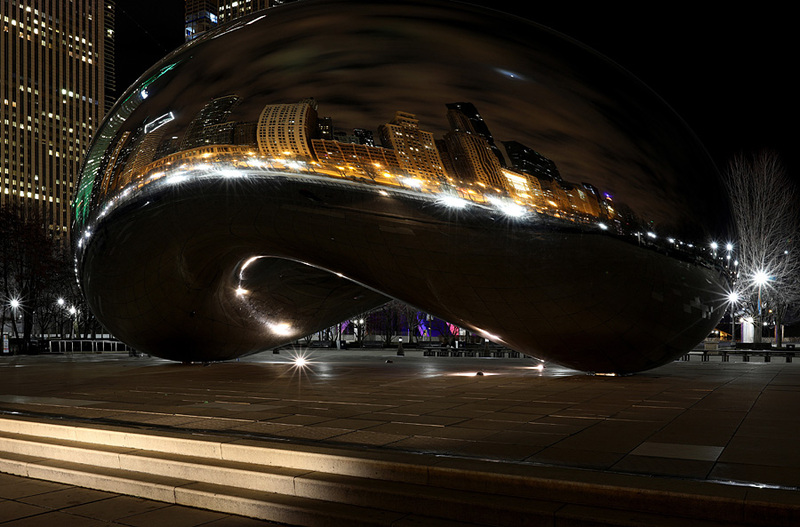 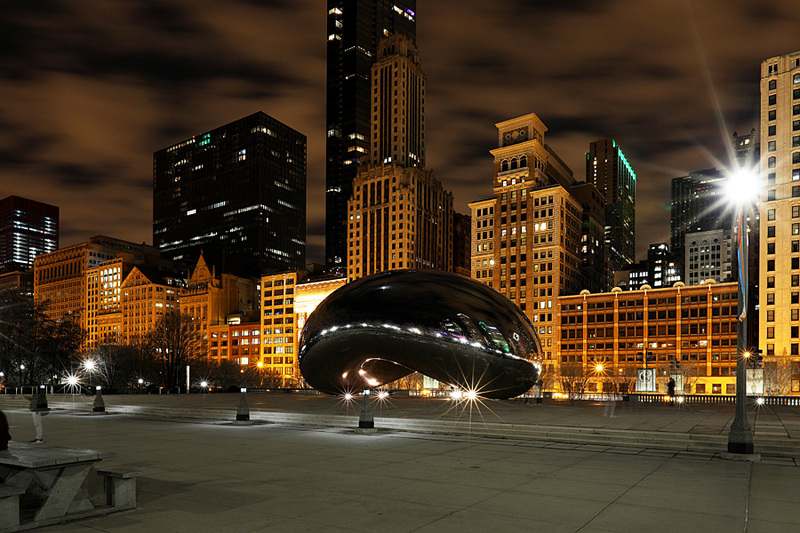 My last stop was over to Millennium Park to photograph the ever-popular Cloud Gate sculpture. 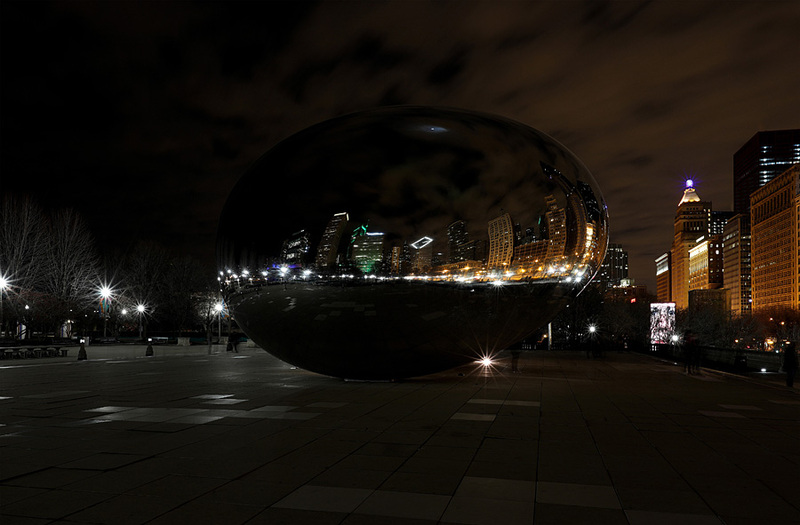 Photographing Cloud Gate was pretty cool, because with the orange highlights from the buildings on Michigan Avenue, the sculpture just “popped”. 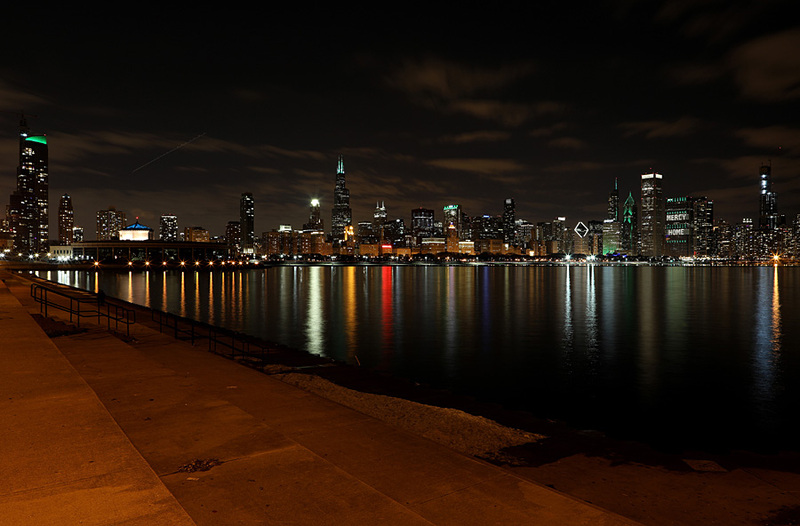 In the end, I must say I had a great night of shooting!